Mort(e), by Robert Repino, gets a great review about “Sentient beast” fables. The novel Mort(e) looks like an original literary sci-fi kind of book that aims high. Rather than a “furry” universe, it’s better described as a talking-animal apocalypse story. Fred Patten’s review of the book posts tomorrow. It links to a review by acclaimed SF/fantasy novelist Paul DiFilippo. It’s well worth a read for familiarity with the classics that lead to furry fandom. The sentient beast has long been a staple of fantasy fiction and its antecedents in myth and folktale. The modes range from tales such as Richard Adams’s Watership Down or Laline Paull’s recent The Bees, in which readers are lent the power to eavesdrop on the secret yet naturalistic lives of critters in the everyday world, to worlds populated by human-acting animals (think of the Duckburg of Carl Barks or the Grandville series by Bryan Talbot) and, of course, satire on the order of Orwell’s Animal Farm. Pilot for the “unbelievably cute” True Tail series. Shortly after Fred’s announcement about the series posted here, they released an animatic for their pilot episode. Reddit discusses. Dawgtown: update for the indie 2D-animated movie that deserves a lot of notice! There are very few movies like this being made. Influences include Ralph Bakshi, Don Bluth, and Watership Down. This blog’s tag for Dawgtown has many more updates, and a long interview with the movie’s director. 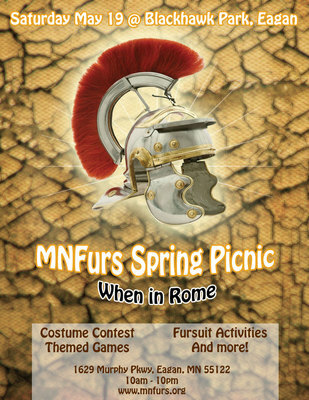 I think it should raise high interest for Furry fans. They posted on a Facebook furry group (Over 400 comments, must be a member to read.) The share message to me said: “The thread is juicy… Basically, the filmmakers are NOT furries, and admit that they DID NOT DO RESEARCH on furries. I just thought I’d get you a seat on the drama-train before it fills up.” There’s little good to say about the film maker’s reactions, so I won’t. You know what they say about first impressions. Last Newsdump shared a new (4 years old) movement of Furries in Peru. The article mentioned that Latin American furries are rare, but Chile is a special place for it. Brazil and Mexico have presence too. I love how this subculture crosses borders – anthropomorphic animals need no language to connect. Thought: Local wildlife can inspire awesome fursonas! Last time I was in the jungle down there, it was awesome to hang out with tapirs, coatis, and anteaters. (It was funny to be a pee target for howler monkeys… but they missed.) Do I spy a super huggable sloth in the video? Shared by VDX2K7, (blue haired raccoon in the vid.) He posts great content from Russia and Eastern Europe on the r/furry subreddit. Oh, Roscoe! DiFilippo’s review of “Mort(e)” cites Mark Geston’s “Lords of the Starship” and “Out of the Mouth of the Dragon”. I have never seriously felt like committing suicide except when I read those novels. Talk about depressing! But undeniably very well-written. I am dithering over whether to recommend them or not; I wouldn’t want to be responsible for anyone’s committing suicide. Oh, well. They ain’t furry, anyhow. Thanks for the shout-out, Patch! Will be interesting to see what happens with that indie film. I did my best to provide thoughtful feedback and critiques based on what little we’d all seen of the project, and hopefully the filmmakers will be willing *and* able to take at least take some of that feedback and apply it!